Propaganda Games, the studio behind Turok and Tron: Evolution, has been closed down by parent company Disney Interactive. Founded in 2005 by veterans of EA Canada, the Vancouver-based Propaganda had only two games to its credit, the 2008 Turok reboot and Tron: Evolution, the tie-in to the 2010 Disney flick Tron: Legacy. A third project, Pirates of the Caribbean: Armada of the Damned, was canceled in October 2010, a move which Disney said at the time "completed a restructuring of Propaganda Games, its Vancouver, B.C. internal studio." With Tron: Evolution and its launch-day DLC out of the way, Propaganda appears to have fallen victim to more, and more serious, restructuring. "Disney Interactive Studios confirms the closure of its Vancouver-based internal game development studio, Propaganda Games," the company said in a statement to Joystiq. "The studio has completed all work associated with its most recent project." It's not exactly a fond and tearful farewell, but unfortunately for Propaganda it's not entirely surprising either. Movie-based videogames are pretty much a commodity these days; it might be important that Irrational makes BioShock Infinite but which studio churns out the latest quick-and-dirty tie-in to a blockbuster film is almost entirely irrelevant. That makes them a natural target for cuts; that's not an indictment of Propaganda, it's just the nature of the business. 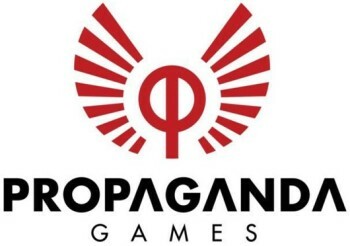 We here at The Escapist extend our best wishes to everyone at Propaganda who's been affected by the closure.